Clever, considered and kind, the Fifth Doctor's world was one of fascination and science. He relished the recursion of Castrovalva, solved the mystery under the sinking sands of Frontios, and came face to face with the Silurians and Sea Devils once more. He twice faced the snake-like Mara, infesting the mind of his companion Tegan. And it was in this fifth body that the he was reunited with his past selves to fight in the Death Zone on Gallifrey. 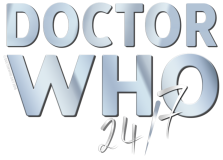 Infected with a deadly virus and with only enough antidote to save one, the Fifth Doctor sacrificed his life to save his friend Peri.